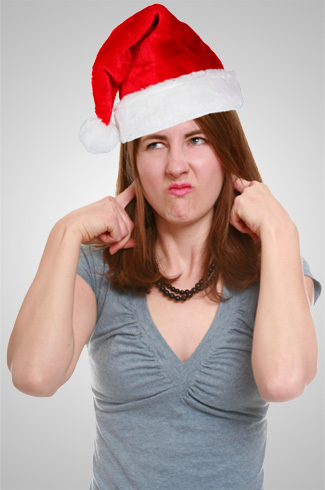 Don’t get me wrong – I’m all for secularism when it comes to Christmas songs – sure, it is a Christian Holiday and all, but I guess other faiths would like to feel included, and just because a song doesn’t mention Jesus and Mary at the manger doesn’t mean that it should be ignored in the first place. There are gems like “White Christmas” by Irving Berlin that is an evergreen since its release decades ago. However, there are some songs I just don’t get – some don’t have much connection with the holiday at all, while others just send the wrong message. I will start with a tune I actually like – “Winter Wonderland,” a classic that has seen many recordings since its debut in the 1930s. While I enjoy the theme of the joys of winter, I fail to understand why it qualifies as a Christmas song – there is no reference to the Holiday on the lyrics except for the mention of ‘sleigh bells’ early on. The same goes for “Baby It’s Cold Outside.”What does a horny guy trying to get a girl to stay with him over the night have to do with anything? John Denver recorded many great songs during his career – “Take Me Home Country Roads” and “Leaving on a Jet Plane” being memorable ones– but he did hit a roadblock with “Daddy Don’t Get Drunk This Christmas,” a sad tune whose lyrics feature a pleading child begging a father not to imbibe during the festivities. Thankfully, the song has only been covered by country artists over the years, so it hasn’t exactly become much of a staple. John Lennon’s “Happy Xmas (War Is Over)” became an instant classic the moment it was released, so I guess Paul McCartney wanted to get some of the action when he wrote and recorded “Wonderful Christmastime,” a dreary number played around a synthesizer riff. The tune does have its fans, though, and cover versions from the likes of Amy Grant and Kelly Rowland, to name a few. The song’s writer, however, has reportedly said that today he feels embarrassed about having written the song in the first place. I have never been a big fan of George Michael though I do recognize his talent as a singer and songwriter. Tunes like “Freedom 90”, “Wake Me Up Before You Go Go” and “Faith” have become classics in their own right. But he really flubbed it in his Wham! days with “Last Christmas,” a bubblegum-pop number about being broken hearted during Christmas. There are two other lonely heart Christmas songs that went on to become huge hits in spite of their awful lyrics. The first is The Emotions’ 1974 “What do The Lonely Do at Christmastime,” a sad ballad that might have driven many to jump off a bridge somewhere. The other would undoubtedly be “Blue Christmas,” a country-and-western number made popular by none other than Elvis Presley – who recorded what I consider to be one of the worse Holiday albums ever. But the tune that makes me cringe the most is Elmo & Patsy’s novelty hit “Grandma Got Run Over By A Reindeer,” whose offensive lyrics tell the story of a drunken lady who ‘staggered out the door into the snow.” The song is so divisive that several radio stations have dropped it over the years.